Check out these Valentines Long Sleeve Tees for the whole family priced at ONLY $14.99 (Retail $29.99)! Happy Valentines Day Y'all!! 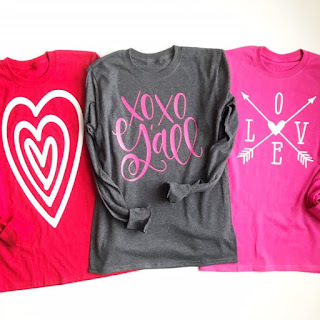 Everyone must own at least one of these adorable long sleeve heart day tees! Pick your favorite design! Youth &amp; Adult so you can be matchy-matchy!